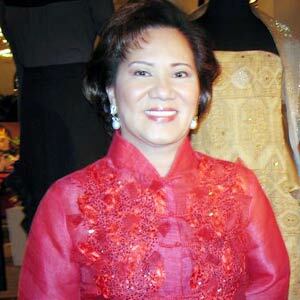 Wilma Galvante, Senior Vice President for Entertainment TV, will represent GMA-7 during the 14th Asian TV Awards that will take place in Singapore this December 2009. GMA-7 Senior Vice President for Entertainment TV Wilma Ms. Galvante joins leading broadcasters in Asia as they convene for the annual Asia TV Forum in Singapore from December 2-4. Ms. Galvante has been invited to speak on the topic "Formats in Asia," to share with her fellow industry experts the potential of television formats as applied by GMA-7. The Kapuso network has successfully produced adaptations of popular foreign drama titles such as Marimar, Kim Sam Soon, and Zorro, and game shows such as Hole in the Wall and Family Feud. Local komiks classics will also serve as case studies. Ms. Galvante will show her foreign counterparts how the production of Darna, Dyesebel and Joaquin Bordado contributed to GMA-7’s performance in the primetime timeslot. In the same conference and exhibition, Ms. Galvante will also act as judge in the TVA+ Format Superpitch, a competition wherein contestants will get exclusive access to key business decision-makers across the region to pitch their television ideas. The winner of this contest will win a cash prize and have the opportunity to exhibit at Asia TV Forum 2010. This year, eight entries from the Philippines made it to the shortlist of the 14th Asian TV Awards. GMA-7’s Mel and Joey was nominated for Best Entertainment Programme. Comedian Michael V was nominated in the category Best Comedy Performance by an Actor/Actress. The QTV 11 special, The Pursuit of Style: A Young Designer’s Special, is also nominated in the category Best Entertainment (One-Off/Annual) Special. For Best Adaptation of an Existing Format, Project Runway Philippines of Solar Entertainment and Survivor Philippines (first episode) of GMA-7 were included in the list of nominees. ABS-CBN shows that were nominated this year are Pilipinas: Game KNB? (Best Game or Quiz Programme category); the "EDSA Shootout" episode of Bandila (Best News Programme category); and I Survived (Best Current Affairs Programme category). The winners will be announced during the gala dinner of the 14th Asian TV Awards that will be held at the Pan Pacific Hotel, Singapore on December 3. CLICK HERE for the complete list of nominees of the Asian TV Awards.